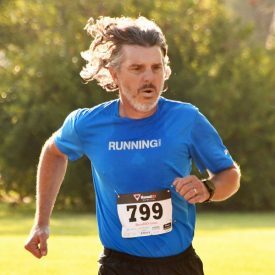 Competitor Running is the most trusted resource for performance-minded runners and is published by Pocket Outdoor Media, the leading publisher in endurance sports. From web to print, podcast to social, Pocket Outdoor Media brands earned 303 million content views last year, reaching the most active and influential consumers in cycling, triathlon, and running. Our brands include VeloNews, America’s leading bike racing media brand; Triathlete, the world’s #1 triathlon resource; Women’s Running, the most popular resource for women runners; Competitor Running, the most trusted resource for performance-minded runners; Bicycle Retailer & Industry News, the world’s leading bicycle trade journal; and VeloPress, the world’s leading publisher of books on endurance sports. Pocket Outdoor Media is headquartered in Boulder, Colorado. See more at pocketoutdoormedia.com.